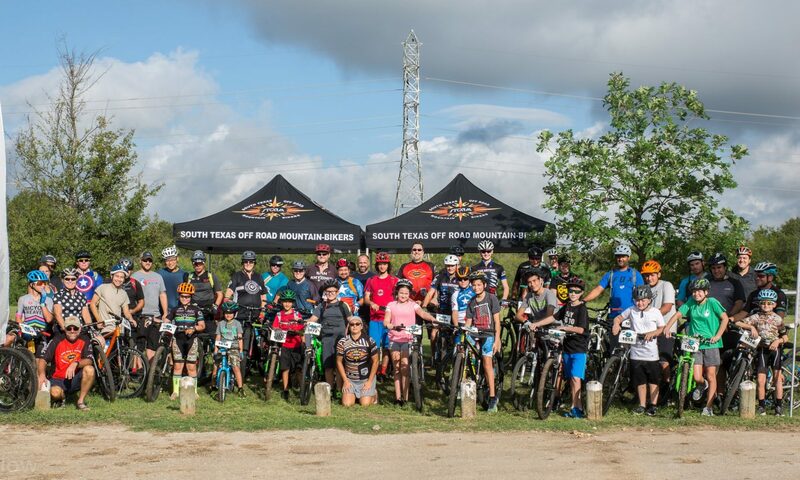 The Texas Mountain Bike Racing Association’s (TMBRA) XC State Championship Series comes to our backyard as STORM hosts the Hill Country Mountain Bike Challenge at Flat Rock Ranch in Comfort, TX. This is the largest mountain bike race in the San Antonio area with over 400 racers competing in the different age, gender, and experience-based classes. Juniors categories (10U, 12U, and 13-14) will be racing on Saturday afternoon and Pro, Cat 1, Cat 2, and Cat 3 of all ages will be racing on Sunday morning. Go to the race page for more information, to register, or to volunteer. Order these shorts and other shorts, jerseys, etc. for men and women at the STORM Ridebiker online store. Remember to logon to your account or create your account (https://ridebikercustom.com/join) to be affiliated with STORM. Please take time to read the Rivard Report article about the trail signs being installed by South Texas Off Road Mountain-Bikers (STORM) made possible by a generous $10,000 grant from REI through the San Antonio Parks Foundation. Friends of McAllister Park had the vision for trail signs. STORM is celebrating it’s 25th year of mountain bike and trail advocacy and this project epitomizes the work STORM does for the community.